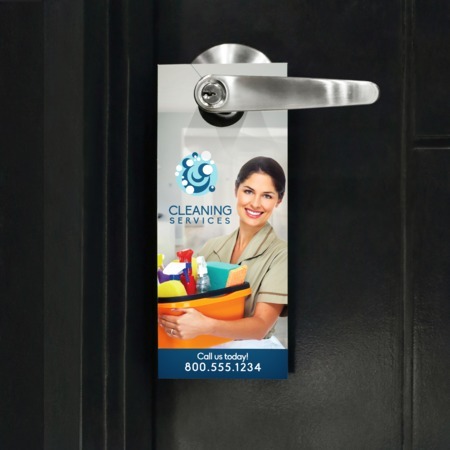 Here at UPrinting, we offer quality door hanger printing for your business needs. Print custom door hangers in three popular sizes available. You can also choose among different coating options. We also offer optional perforation for your contact information, loyalty cards or coupons. Order from 250 up to 100,000 prints per order and have them printed as fast as 1 business day. Just navigate our calculator and upload your file to place an order.